San Antonio is rapidly becoming recognized as home of not only NBA Spurs, but also of ABA America's Green Team, Texas FUEL, the professional basketball team that provides renewable energy edutainment at their half-time shows and inner-city after-school programs. In December 2008, within hours of ABA Showboat players and one of its sponsors, Aurora Deiri of San Antonio Peace Center seeing the upbeat movie, “FUEL,” they decided they wanted to change their name to Fuel, promote the movie and carry its message everywhere they go, on and off the court. The Sundance award-winning movie, “FUEL” returned last week to Santiko Palladium IMAX Theatre Green Carpet event honoring the green team and other San Antonio celebrities. At the event, two of the Fuel team's co-owners, Dr. Jesse Penna and Dr. Ellenor Duke, plus fan Guillermo Hoyos exhibited an electric Porsche and a pristine Mercedes Veggie Van at the event last week where VIPs arrived in a brand new, emissions-free Mercedes provided by Mercedes Benz Boerne. “Fuel” film director, Josh Tickell's mother, featured in the Sundance award-winning documentary's pivotal role was a highlight of the green carpet and provided the Question and Answer in the theatre after the movie. 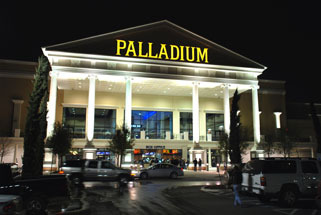 Much of the after-theatre activity in the Santiko's Palladium Mezzanine focused on America's Green Team plus trees highlighted in the movie, FUEL due to their growing 60 feet in three years on land unsuitable for food crops, making them one of the few most efficient 2nd-generation biofuel sources available to landowners today. Proceeds of the event were donated to Shooting Stars Basketball Academy to expand its inner-city after-school program provided by Texas Fuel basketball players. For every $10.00 raised, one more inner-city youth can participate in this life saving program, the upbeat Fuel movie screening plus an after show program provided by the FUEL team role models and me. Why life-saving? According to Dupre’, a youth and family therapist for over 18 years as a Qualified Mental Health Professional, teachers across America are reporting that even disengaging youth say that their seeing the movie, Fuel and the after-show program gave them "reason to live." Due to school closures coinciding with the project, it was extended throughout the month of May. More than 500 San Antonio youth participated in the Fuel edutainment program last week with over 2,000 more inner-city youth awaiting the same program there. Other cities where the Fuels play are also requesting this empowering program. For more information about the Fuels, its green inner-city VIP youth program and “Fueling these forward,” or starting a tree plantation on land unsuitable for food cops, see www.DeborahDupre.com or phone 310.310.1997.